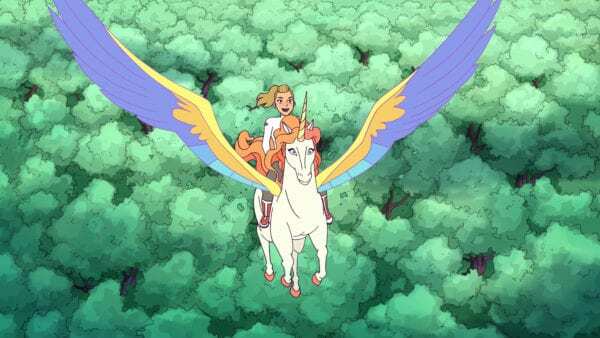 Red Stewart chats with Sunna Wehrmeijer about She-ra and the Princesses of Power…. Sunna Wehrmeijer is Dutch composer who has been working in the television, animation, and film industries since the late-2000s. She is best known for her work on projects like She-ra and the Princesses of Power and Dorothy and the Wizard of Oz. Ms. Wehrmeijer, thank you so much for taking the time to speak with me. I’ll start by asking you a random question. I had band teacher in high school who recommended that we take singing classes to help us with our music. Given that you’ve done some vocalist tracks in your filmography, would you say that that is worth doing for aspiring composers? To become somewhat proficient in singing? No, I don’t think the two are connected really. I mean, it’s always handy to be familiar with how to work the voice, but I don’t believe it’s necessary for composers to know that. Yeah, that makes sense. As you said, singing is different from composing. Now, when I read your over your IMDB page, I was fascinated to learn that, early on in your career, you tackled both programming and orchestration. What was the process like working with both synths and classical music and combining them? Cause I know you employ both for She-Ra. That’s right. I enjoy combining synths and orchestra, and it’s something I kind of learned by doing it. I’d never really done it before I moved to Los Angeles, so I was just thrown in the deep end. I got to work on some big films like Prometheus and I basically learned by trying it and watching other composers. I was making mistakes while experimenting and finding out how everything worked such as with frequencies and low frequencies where you won’t hear one of them, so you have to find out what you can you do to keep hearing them. Stuff like that. And yeah, it’s a process that I enjoyed very much. That’s cool to hear that it was something you learned over time. And speaking of She-Ra, I know that animation is a relatively new phase in your career. You started off doing a lot of live action television and, as you said, movies. I understand for these cartoons that you rely on the completed animation to help with the score, but are there any artistic differences for you as a composer between doing live action and doing animation? Like maybe you can do things in the animation score that you couldn’t for a real-life production? Yeah, for sure. I think that animation generally plays a little bit more of a role with what happens on screen. You just follow the animation and the actions a bit more than you would in live action. Within 10 seconds the mood can change a couple of times, that’s just sort of how animation works, and the music has to reflect that. Animation is a lot of work, that’s generally something that all composers agree on. It’s a huge amount of work, but the good thing is that it’s a lot of fun work. That’s definitely true. Animation is a medium that I don’t think is fully respected, although studios like DreamWorks and Pixar are certainly working to overhaul that. And I hadn’t thought about how something as simple as movement could affect the score, so that’s intriguing to hear. 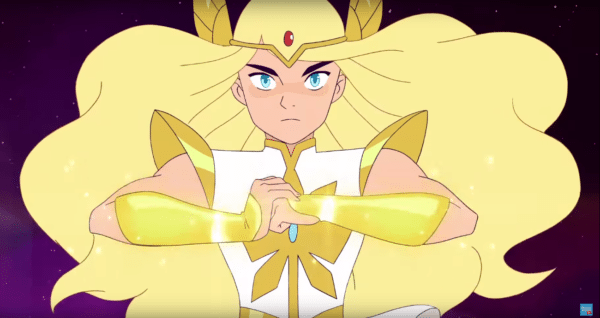 One thing that I found cool about this new She-Ra is that there is a huge female presence in the cast and crew. Obviously this was intentional on the part of the creators, so I’m wondering what it’s been like to work in that kind of a feminist environment? Has it changed your approach or is it just a different atmosphere? It’s definitely female dominated. You know it’s weird, because you’d think I would notice a big difference, but for me, I’m just a composer doing my job with very nice people, and I’m lucky that I haven’t noticed much sexism in my career. But I’m just working with great people, whether they’re male or female. Also, I don’t think that I was hired because I was a woman. The demos were done blindly. 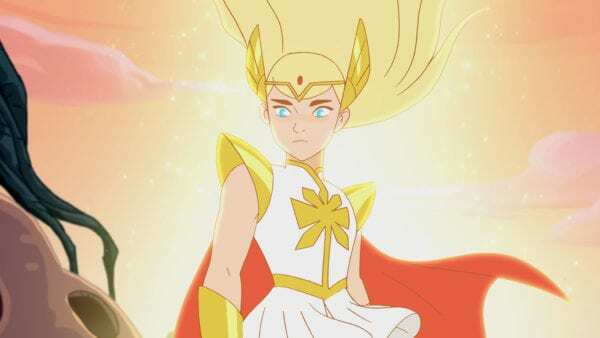 I believe I was hired because I was the best one for the job, and that goes for everybody who works on She-Ra. Everybody is just the best person and they just happen to be mostly women. But they’re very talented women. No definitely, that’s great to hear about the meritocracy element of yours, and everybody else’s, hiring process. On a side note, I have to say that I listened to some of your score for She-ra and it just sounded so epic. It reminded me a lot of Howard Shore’s compositions for The Lord of the Rings. Was that your intention, to create a big orchestral composition? Cause that’s not a sound I would associate with a Netflix animated series. Right, it was, and this is because that’s the kind of show that Noelle Stevenson and the rest of the creators made. They made a very cinematic animated series. It is cinematic and big in scope, and that’s how it’s animated and how it was intended. And they requested for me, also, an epic score. Combine the classical orchestra score with modern synth elements. So that was very intentional. And I just usually follow my intuition, and then obviously take the direction of the creators in mind because it fits the picture so well. You know, if you think about the transformation sequence, it’s a huge thing that happens, and they wanted a large sound to accompany it, and I think it works really well. No I agree, it is an amazing score. I was surprised by the sheer emotion that was evoked out of me. But I’ve always wondered, does doing a children’s serial like She-Ra, like Dorothy and the Wizard of Oz, put any limit on your composing? Cause having an age limit seems to hit most of the other aspects of the creative production, including the writing and the direction and the art design. I’m curious if this applies to music too. It’s funny because there’s a lot freedom with She-ra, even though there are several scary scenes- it gets quite dark. There are evil characters, stuff that happens, but the writers were always quite upfront about “you can make this scary” and “you can make this go dark.” They never said hold back on the tension. There was one time on one scene they found a bit scary, so I dialed it back, but then in the revision they said “can you make it scary again?” In the end, I had to go scary after all! I remember Noelle saying something like she remembers as a kid the tension and the excitement when something was really scary, and it’s almost like an enjoyable scariness if that makes sense. And the series does take children to the boundaries of what is acceptable in a cartoon, but it’s not per say a bad thing, especially because there’s also lots of happy beats and comedy and lightheartedness. Not sure if that answers your question, I kind of went off on a tangent [laughs]. No, it does. Music shouldn’t be restricted no matter the age, and I’m glad that Ms. Stevenson has emphasized that in her directions to you. I have one last question for you, and this is something I love to ask every composer I speak to, which is what are three pieces of music that have had the greatest influence on you as a composer? They can be a film score, band album, anything. Sure. Gosh, I would say Alan Silvestri’s Back to the Future, Jurassic Park by John Williams, and Independence Day by David Arnold. These are all film scores, and there’s more, but I’ll just go with these three for now [laughs]. No, those are all amazing scores, and ones that I grew up listening to as well. I’m glad that your music more than lives up the power generated by them, so thank you once again Ms. Wehrmeijer for speaking with me. Great, well thank you very much for talking. It’s been a fun interview! Flickering Myth would like to thank Ms. Wehrmeijer for sitting down with us. 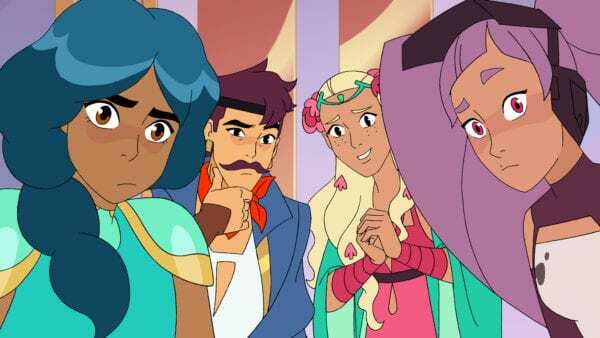 She-ra and the Princesses of Power is available to view on Netflix. Special thanks to Cas Spencer and Adrianna Perez of White Bear PR for making this interview possible!